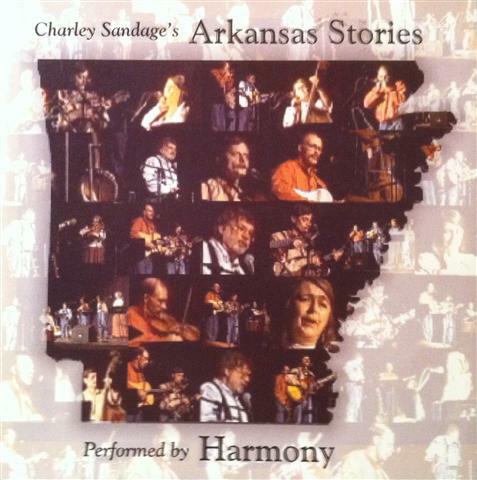 The Arkansas Stories Project is built around newly-written songs about the land, people, and the events that made Arkansas what it is today. 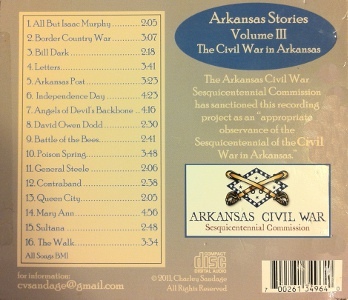 Volume III of the series, unlike the others, is devoted entirely to one period of time and one set of events – the Civil War in Arkansas. Arkansas’ fledgling economy and political institutions were fragile when war fever consumed the nation. Settlement was sparse through much of the state, and its people were deeply divided over secession. Ultimately, Arkansans cast their lot with the Confederacy, leaving the land open to the push and pull of armies, outlaw bands, economic collapse, and disrupted government. No Arkansas family of that time was spared the war’s horrors, and no generation since has completely escaped its lingering shadows. 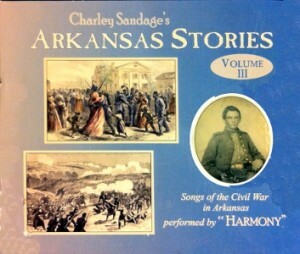 These songs can only hint at the stories of this defining event in Arkansas’ journey. 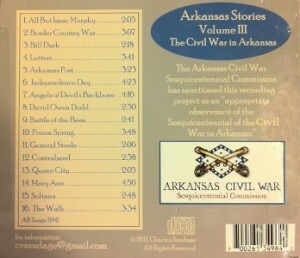 Am trying to order two of the CD’s, Arkansas Stories Volume 3.